I like to think I have the basic formula for our favorite kind of side salad down. Start with some greens (I typically stick with spinach or mixed greens). Add a fruit, dried or fresh. In this case it was blueberries, but strawberries would have also worked. Depending on the time of year, I'll throw anything from dried cranberries to oranges to grapes in a salad. Next, you need some crunch, preferably by way of nuts or seeds. We almost always have walnuts on hand, which made them an easy choice for this salad. While cheese is not a requirement, it's probably my favorite ingredient to add. Feta and goat cheese are two favorites, and seem to be more universally accepted than something like blue cheese. 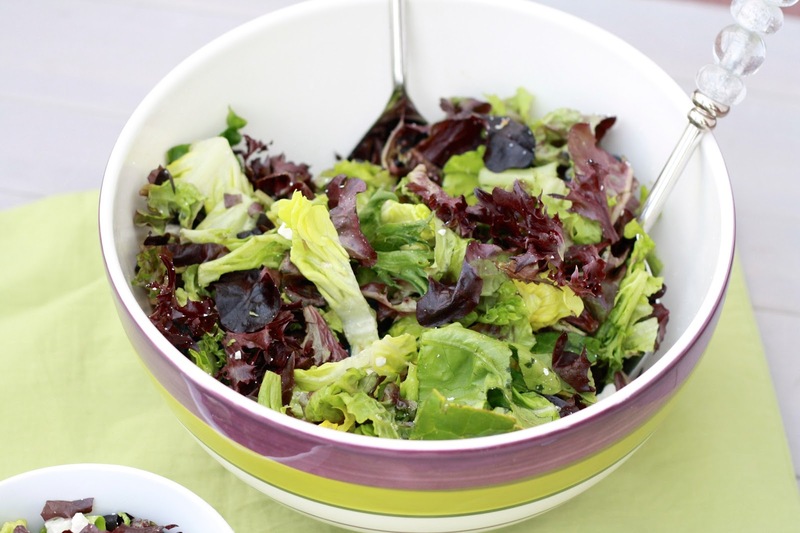 Finally, you toss your salad with a homemade vinaigrette and find yourself with something more like a restaurant salad than a pre-packaged, bagged salad you'll find in the grocery store aisle. This was my most recent salad creation, and one I totally made up one evening based on ingredients I had around. As you can see above, I have a 'formula' of sorts and I don't think you can go wrong. If making up salad inventions isn't your thing, stick with this one...you won't be disappointed! 1. To make the dressing, whisk together lemon juice, garlic, and mustard. Whisk in basil and oil. Season with salt and pepper and refrigerate until ready to serve. 2. 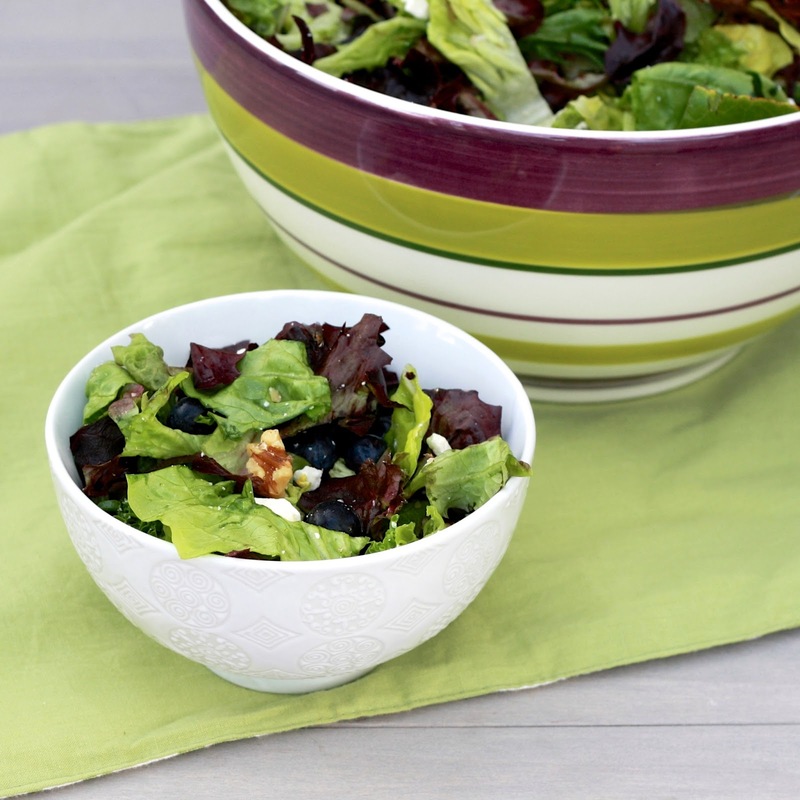 In a large bowl, toss mixed greens with blueberries, walnuts, and feta. Toss with vinaigrette just before serving.